As you know, Zombie Faction is about survival, and in order to keep your shelter save, you need to think out of the box. That’s why we though “What about a zombie that you capture, and it is available for plundering other shelter?” The first legendary zombie was released some months ago, and it is one of the player’s favourite characters. In the last weeks, we have included three more zombie characters, ready to help you to survive. You know, desperate times, call for desperate measures. They will be your partners during the battle, and you can use their special skills when attacking other shelter. Let’s meet the new legendary zombies, available now in Zombie Faction. Meet , he used to open letters with the machete, now he’ll open brains. This zombie uses the “achoo” skill, he create a toxic cloud damaging all the enemies in the area. He will fight next to your survivors with a melee damage and long range hability, Franky is useful in every situation. He is especially useful to destroy turrets thanks to his ability. His special skill “not today”, launches an accid projectile that destroys the turrets. Inflicts short-range damage. They tried to save him and failed. The enemy torrets hit him. It won’t happen again! Red, inflicts short-range damage. Especially useful in large bases. His skill “Leviathan” launches his faithful axe to the horizon breaking all the doors and damaging the enemies in his path. Chosed best fireman for 10 years, the poor Red died trying to save a zombie dog from the flames. 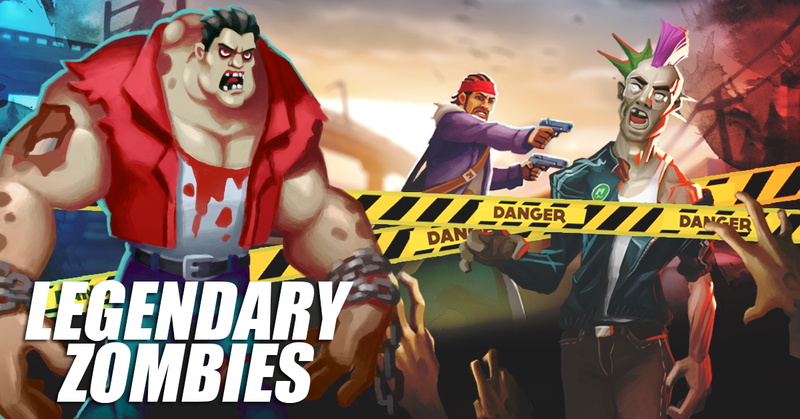 You can get these amazing legendary zombies in our “busy nights” events. Availabe every week from Thursday to Monday. If you want to know more about our survivors, follow us in the Official Twitter Account or in the Zombie Faction Facebook Page.